After the death of his father, an earl plots to get revenge against a family whom he believes his father loved more than him and his mother. He decides to ruin the reputation of Lady lydia, the daughter, by seducing and abandoning her thus ruining her chances of a good marriage and continued acceptance by the haut ton. However, he didn't expect to fall in love with her along the way. 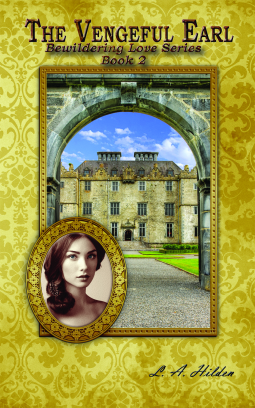 I love a good regency romance but I was hugely disappointed in 'The Vengeful Earl.' The premise had promise but it was not well enough researched, huge chunks of the book (in particularly the first quarter) were tedious and boring and I didn't like either of the main characters. Why write in this sub-genre and then completely disregard the social conventions of the time? The book was full of social inaccuracies. A duchess scrambling about looking for a maid and then opening her own front door? Eh...what was the butler doing? The Duchess leaving her cousin alone with the highly suspect Earl of Sinclair while she goes out to call on friends? Lydia dancing two waltzes in a row with the earl and then leaving the ball with him on a three day carriage ride to his home without telling anyone where she was going? Everything was resolved far too easily in the end and one character in particular made a very sudden and complete turn around in personality! Don't bother with this one. Re-read a Julia Quinn or Georgette Heyer novel instead.